Written by Beirem Ben Barrah on 14th February 2018 . So you want to improve your social advertising ROI? The Next Ad is a platform for data-based optimisations. What if we told you that you can also pre-optimise your Facebook ads based on how the human brain processes information? It’s called applied neuromarketing. 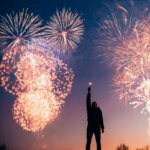 In this article, you’ll learn some of the principles and techniques that you can apply. Originally neuromarketing refers to a form of market research where consumers’ brain activity is measured to predict the success rate of an initiative, say a TV commercial. Over time, the collection of insights into consumer behaviour grew substantially. In the past ten years, we learned more about the brain than all earlier years combined. This gave way to a new discipline: applied neuromarketing. 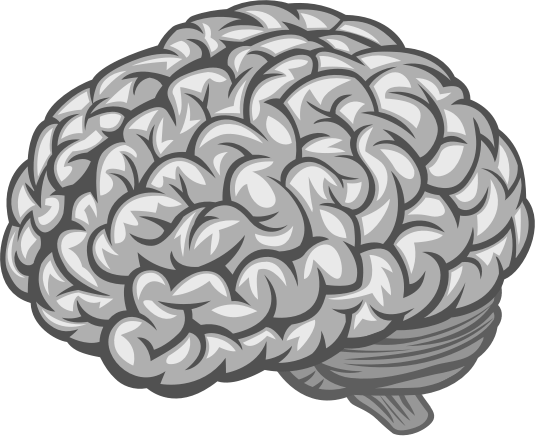 In applied neuromarketing, you leverage the insights of how our brain processes information. This is used to improve your marketing efforts. Where normal marketing is generally focused on what works and what does not, neuromarketing is focused on the why and how. This deeper understanding enables you to become better at predicting the effectiveness of marketing efforts and creating innovative marketing efforts. Neuromarketing can be applied to any form of communication, from optimising your website to training your sales team. 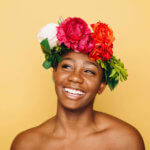 In this article, however, you will learn how you can use automatic brain processes to improve your social advertising ROI. Today’s goal is to provide you with new ideas and techniques to improve your own ad creation process. Let’s dive in. When creating an ad, we all have our own process. You might use a process created by your company or something you found online. In creating and optimising ads for clients, we have created a 5-step framework that we call ‘neurofied ad creation’. When followed, it forces you to think about how you can apply the neuromarketing principles to the ad you are creating. Feel free to adopt anything you find useful. Why do you want to advertise? If you are trying to sell a product, you want to target a different behaviour than when you want people to subscribe to your mailing list. A concrete goal makes this process a lot easier. Write it down and keep it in mind during the creation process. What action should the user perform in order for you to achieve your business goal? When your Facebook ad is a contest, you will want people to engage with a like, comment, or share. When selling a product, you want them to click on the shopping button. By explicitly stating the required action, you will keep focus and align your efforts. Associate with an emotional moment or object. What emotion do you want to elicit in the user so the required action becomes more likely? The emotions we experience have a profound impact on our decision-making. Still, very few marketers consciously take this into account. So what emotions do you want to keep in mind? There are many, but we will discuss two emotions and their effects to give you a head start. Show the right facial expressions. The first emotion to consider is sadness. When we are sad, we want to change our circumstances, often by acquiring something. In other words, we are more likely to act and consume. Charities often use this emotion to get you in a receptive mode so you become more likely to donate. This is an effective method when you are solving a social issue. Fear is generally seen as the most effective emotion in marketing. Many of our actions stem from our fear to avoid physical, mental or emotional pain. To effectively use pain to motivate an action, you need to show three things to the consumer. You have to show them: 1) they are likely to be affected; 2) when they are affected it will be painful, and 3) they can avoid it (with your product or service). Speak to the pain you are solving or preventing. When you know what key emotion to elicit, the next question is how. There are many methods to elicit emotions, but we will briefly discuss three as inspiration. Associate with an emotional moment or object. 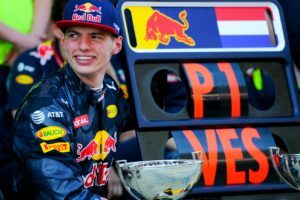 Redbull used this masterfully by sponsoring adventurous sports to build a fan base of 48 million people. Show the right facial expressions. 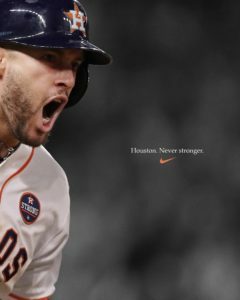 Nike often leverages this technique by sharing the expressions of athletes that accomplished something big. Tell a story. TOMS has a great story; for each product you buy, you help one person in need. 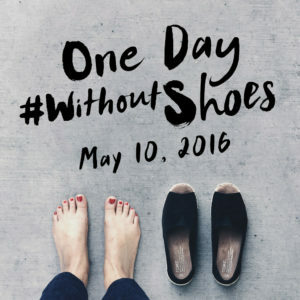 And they share this great story with their “One day without shoes” campaign. What principles of the brain can you leverage to make your ad more effective? By now you have an idea of what your ad might look like. This means it is time to leverage some automatic brain processes to make your ad more effective. Our brain has created shortcuts to process information quickly and without spending much attention to it. One example is that expensive products are considered to be better than cheap products. In order to create an effective ad, it is important to work with these forces, not against them. There are countless of these shortcuts, both big and small. In this section, you will learn about two principles that can help you improve your ad ROI. One of the most fundamental principles is processing fluency. The easier it is to process a piece of information, the more we are drawn to it. And when it grabs our conscious attention, we are more likely to act. In short, simplicity is key. So how can you use this to improve your ad? You could add a subtle blur to the image so your product stands out. Or you can play with contrast to emphasize a specific element. As for the headline and text, keep it short and simple, ideally under 30 and 150 characters respectively. When you want people to engage with you, investment is useful to consider. It is based on people’s tendency to finish something they started. Let’s say you want people to read your article called 5 ways to become more productive. How do you get them engaged? One way is to give a brief summary of one method in the text. By making someone read about one method, their curiosity would drive them to take a quick glance at the other four. Find the appropriate teaser for your purpose. 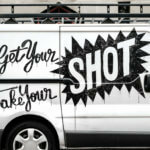 How can you integrate these pieces to craft an effective ad? In order to get a better understanding, let’s analyze this example by Slack. Their business goal is to make you try their communication app. The required action then is for you to click the Learn More button. How will they attempt this? The unicorn and rainbow theme seems to give away that they want to evoke a positive key emotion, like joy or ecstasy. Interestingly, the text indicates that the positive emotion is triggered by the need to get away from meetings. In other words, the true motivating factor is negative, namely the fear of wasting time. And the words “What it feels like…” reinforce the focus on emotion. Slack also does an excellent job in appealing to its target audience, developers. Among developers, it often jokes that the perfect developer is as hard to find as a unicorn. As for the processing fluency, they nailed it. The high-contrast image grabs attention and when you follow their gaze, you arrive at a clear single sentence. The font is easy to read and the message easily understood. Their headline and text are simple and impressively short with only 23 and 58 characters. 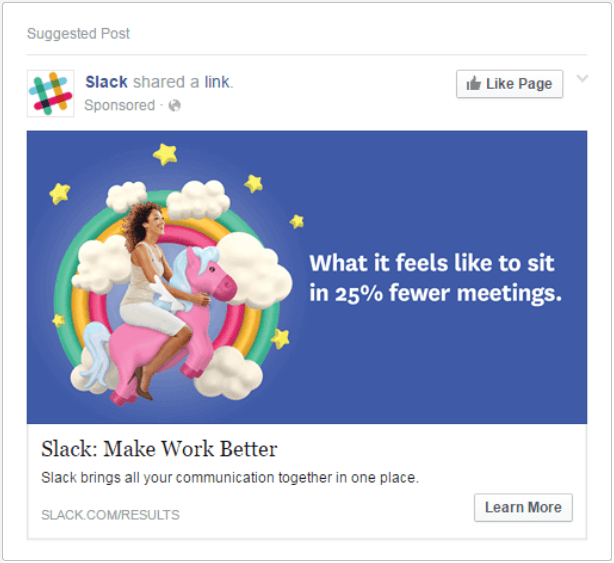 Next time you are creating an ad, keep this powerful ad by Slack in mind as a benchmark. Finally, it is time to create your actual ad. This is where you pick up your normal routine. The big difference lies in the fact that you have clearly defined when your ad will be effective. You know what emotion is likely to elicit the required action. You have determined ways in which you can induce this emotion. And you made sure you are benefitting from, instead of fighting against, the human psychology. Hopefully, you have broadened your perspective on consumers. When you understand how the brain works, you can create more effective ads and improve your ROI. This is what applied neuromarketing is for. However, don’t forget that this is just the tip of the iceberg. There are roughly hundreds of principles, many emotions and even more ways to elicit them. We only discussed two principles and left the others untouched. You can read more on emotions here. Find out how much you need to know to achieve your goals. Get in touch with us if you have any questions, ideas or want an experts opinion on your ad. 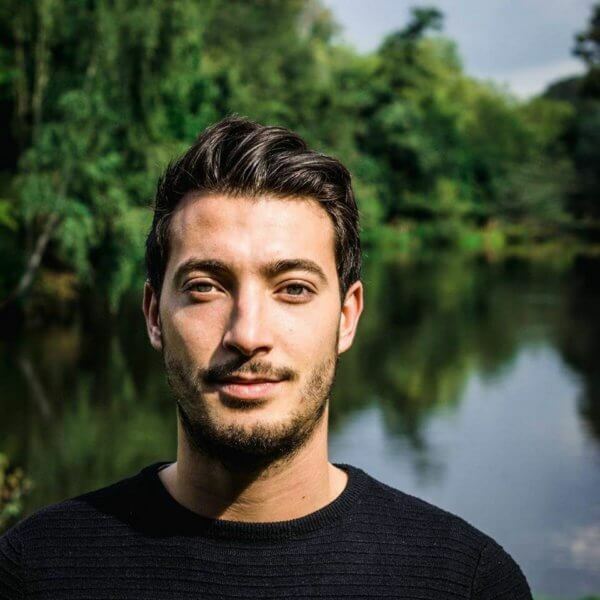 Neurofied is an Amsterdam-based applied neuromarketing agency. It helps its clients grow online by optimising their website and marketing. Apart from strategic consulting and online development, Neurofied frequently gives workshops to startups and corporates. Is willpower enough to keep your New Year’s resolutions?